You can just go ahead and move a little bit to the left. Yeah, that's it. Great. Milt, we're gonna need to go ahead and move you downstairs into storage B. We have some new people coming in, and we need all the space we can get. So if you could just go ahead and pack up your stuff and move it down there, that would be terrific, OK? Oh, and remember: next Friday... is Hawaiian shirt day. So, you know, if you want to, go ahead and wear a Hawaiian shirt and jeans. So, Peter, what's happening? Aahh, now, are you going to go ahead and have those TPS reports for us this afternoon? Ah. Yeah. So I guess we should probably go ahead and have a little talk. Hmm? Mmm, yeah, I'm going to have to go ahead and ask you to come in on Sunday, too. We've got some new people coming in and we... need to play catch-up. Thanks! Yeah, I'm gonna need you to go ahead and not complain about this. Oh, and if you could go ahead and sit at the kids' table, that'd be great. New Updates! (4/22/2019) We've been working really hard on completing our membership system so you can submit quotes and keep track of them. Once this is complete in the coming weeks there will be a lot more quotes by Bill Lumbergh and other authors. 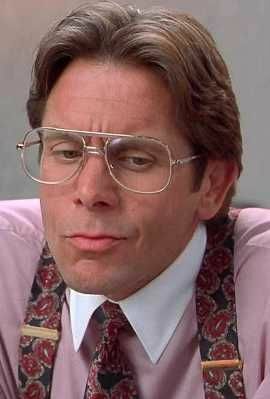 We've also changed the sorting on the site so you now see the latest Bill Lumbergh quotes first. Our goal is to have the best Bill Lumbergh quotes on the web!